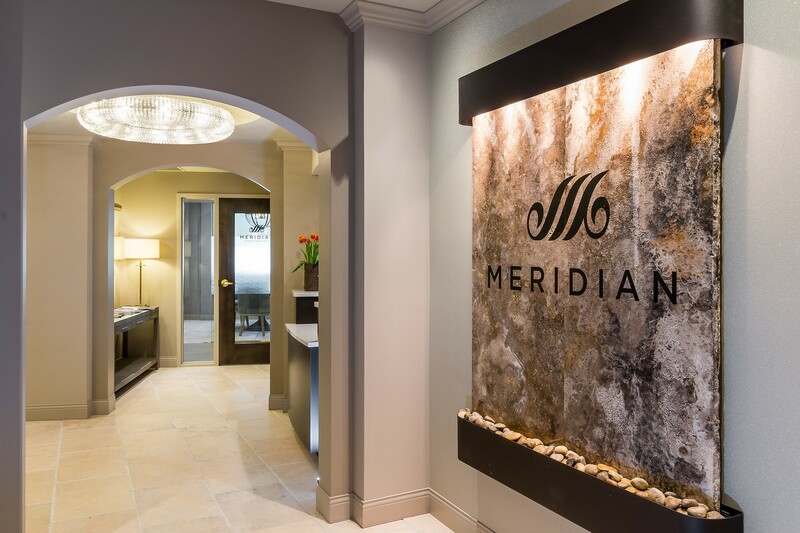 From the initial phone call to our office to the moment you leave, our goal is to provide exceptional comfort and care to all patients and guests who visit Meridian Endodontics and Periodontics. When you initially call our office, you will be pleasantly greeted by one of our Business Assistants. They are happy to provide you with any and all information you may have regarding scheduling your appointment and eager to answer all questions pertaining to your scheduled visit. As you arrive to the office for your appointment, please remember to bring your referral card provided by your general dentist, your dental insurance information, and any/all information pertaining to the days visit. Our soothing waterfall is the first thing you will see as you step off the elevator into our Garden Level Suite. As you approach our reception desk, you will be kindly greeted and offered a beverage to enjoy as you relax in our reception area awaiting your appointment. A dental assistant will be guiding you back into one of our luxurious dental suites. From there the assistant and doctor will work alongside you to help determine the cause of the days visit and help create a care plan, customized to your personal dental needs, ensuring the best possible care.